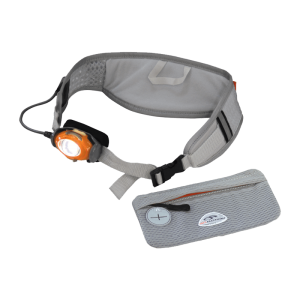 New 150 lumen CREE® LED light designed to attach to existing waist packs & belts. 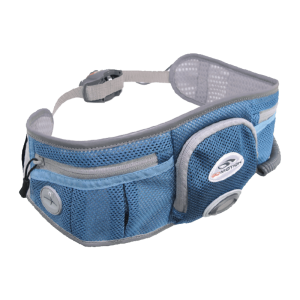 The perfect addition to your own hydration waist pack such as FuelBelt or a Nathan hydration pack. 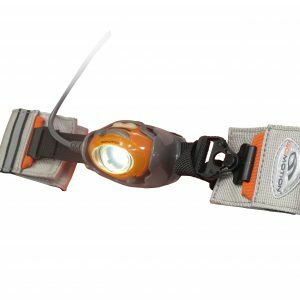 Lightweight two-piece front attachment is designed for quick access in/out of pack – just pull the two half sections apart and undo the pack attachment underneath. 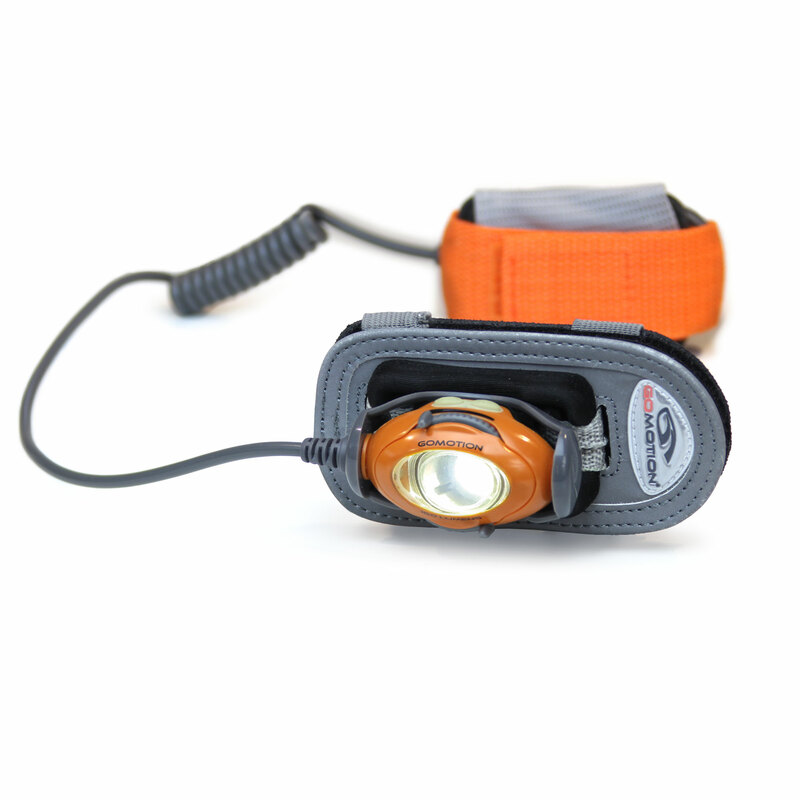 The Corelte 2 will stay on the pack. 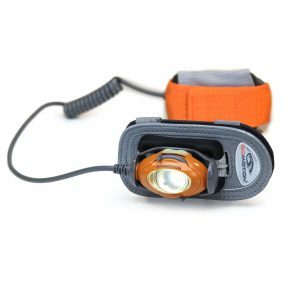 External battery pack is powered by a rechargeable Lithium-Ion battery pack that feature two flashing red LEDs mounted to battery pack for added road safety. The battery holder can be mounted to belt either horizontally or vertically in between the bottles. 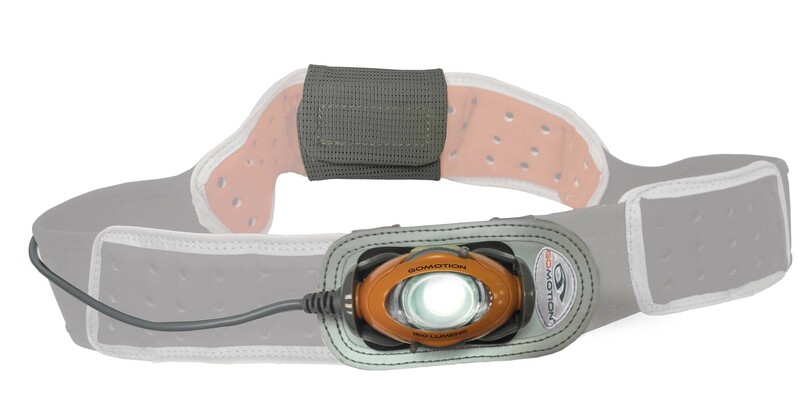 Fits any belt height between 38mm (1.5″) and 63mm (2.5″).